Some of our Superheroes are made of steel. Some are webbed and some are caped - but all are Super! Check out the Kids Parties New York Superhero Puppet Show! A great mix of Favorite Superheroes and Characters and The Kids Party Puppets originals - including our very own Puppet Man! Some of our Superheroes are made of steel. Some are webbed and some are caped – but all are Super! Check out the Kids Parties New York Superhero Puppet Show! A great mix of Favorite Superheroes and Characters and The Kids Party Puppets originals – including our very own Puppet Man! Fly to the phone now and call Ken for more info! Kids Parties New York featuring Ken & The Kids Party Puppets come to you with a unique, fun filled and totally interactive puppet show that is perfect for kids ages 2-9. 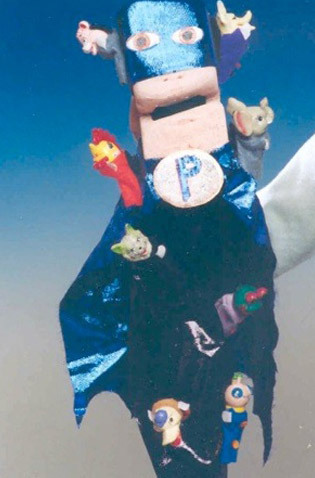 For over 20 years Ken has been enthralling kids in the NYC Tri-State area with the wonder and magic of Puppets.